What do you get when you cross Bluefly with Net-a-Porter? Why, a chic new outlet site of course! Due to launch this April, theOutnet.com is the latest place for fashionistas to get their fix of carefully curated pieces from Net-a-Porter brainchild Natalie Massenet. Expect the site to be similar in concept to Bluefly, but with a much better selection and turnover of items. Massenet says theOutnet.com will be a site her customers can “call their own”. Not sure what that means but a 24/7 sale of Net-a-Porter finds is definitely a good thing! 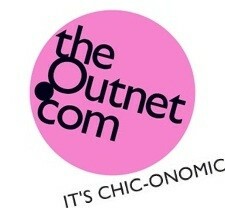 Sign-up at theOutnet.com to be notified when the site launches.